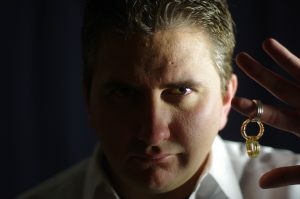 Bobby Wanzer began practicing magic at the age of 9 and all through his teens he began performing professionally. He started performing for birthday parties, fairs, and small events. In his 20’s he began his illusion show career by performing for schools, colleges, and small businesses. Today, Bobby performs for corporate events, casinos, resorts, and large theater productions. He has used his extensive experience to put together a visual wonder. His shows pack over 10-12 grand illusions and range in length of an hour to two hours long. His shows come with the best in magic and illusion along with High end intelligent lighting, Fiber optic backdrop, professional dancers, and fun comedic audience experience for all ages. Let Bobby’s professionalism, talent, and perfection be a hit for your event.